THANKS to you, we're all SOLD OUT of Cordray Farms Beef Shares! We're already starting the reservation list for the next harvest! If you'd like for us to reserve a Cordray's Farm Beef Share or Beef Side for you, send in your deposit. Contact us via email or by phone at 843.766.7922 for questions. Thanks again for your tremendous support! One Cordray Farms Beef Share left! Just a quick note to let you know that we have one Cordray Farms Beef Share ready for pick up next week. We'll be cutting again in about a month. Let me know if I can put your name on it! 5 Cordray Farms Beef Shares ready for pick or delivery next week! I hope you enjoyed your holiday as much as we did! We are cutting Cordray Beef Sides and Shares this week. After we fill all the orders that are reserved, we have 5 Cordray Farms Beef Shares left. Can we put your name on one? 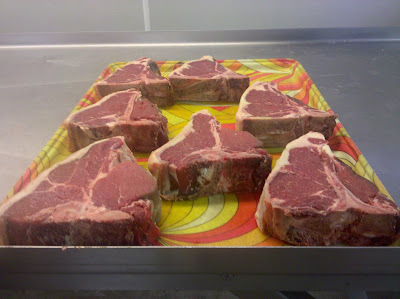 For pictures and a complete description of what you get in a Beef Share, click here. If you'd like for me to meet you for delivery, let me know. I can deliver on Tuesday, the 13th - unless our new grandbaby comes on that day :)! Already meeting someone at Lowe's West Ashley, so let me know if you want me to bring yours, too. Our next cutting will be in about a month. Sign up for a Cordray Farms Beef Side cut to your specifications by sending in your deposit of $200 today! New laws make it legal to hunt wild hogs and coyotes at night! If you're successful...come see us in the morning - Aug. 15 to Jan. 1! Want really thick steaks? Order a Cordray Farms Beef Side and tell us exactly how thick! Wild Hog Mounts on the move!